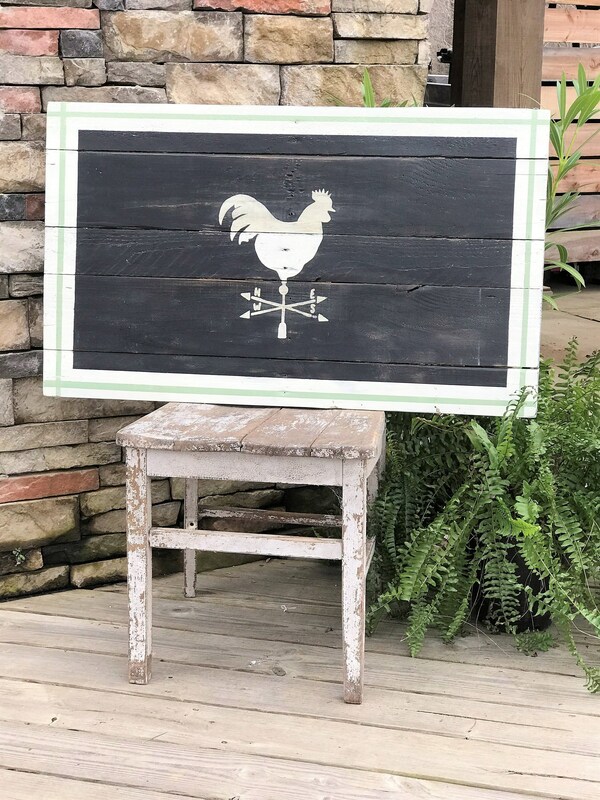 Add some southern charm to your decor with this farmhouse style sign! This sign is painted black with white trim. There is a thinner sage green stripe within the white trim. In the center is a painted white rooster weather vane. It is made with 100% reclaimed lumber.